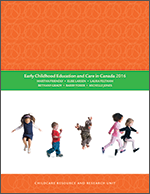 Developments in Canadian child day care policy in the 1990s at the federal, provincial (Ontario) and municipal (Toronto and Peel) levels highlight the problems associated with the male model of citizenship. The political climate poses a particular threat to the social citizenship rights of women and members of lower socio-economic groups. Likewise, political citizenship is negatively affected, as most women's and advocacy organizations are dismissed by governments as "special interest groups". Based on their outsider status in official politics, and lacking stable alliances, these organizations are drawn toward political solutions that may prove palatable to governments in the short run but may undermine general claims for child care as a universal rather than a targeted service.